Rosh Hanikra, photo by Itamar Grinberg for IMOT. Beit Yanai, photo by Eduard Stern. Sea of Galilee, photo by Itamar Grinberg for IMOT. Setai Sea of Galilee, photo by Assaf Pinchuk. Negev, photo by Dafna Tal for IMOT. The Beresheet Hotel, photo by Isrotel Exclusive Collection. Eilat, photo by Dafna Tal for IMOT. Five stunning spots to visit. For many, a first introduction to Israel is provided by the Birthright program—either you take a spirited sojourn into the desert heat or hear about such trips from school friends who have. Reports back from the land of milk and honey are often soul-stirring—and by no means thanks only to youthful exuberance. Israel is a country well worth visiting, and one small enough to be explored in its entirety in a single trip. Plus, no matter where you go, luxury accommodations and spellbinding natural wonders are not far off. Here, what to see, and where to stay while you’re there. 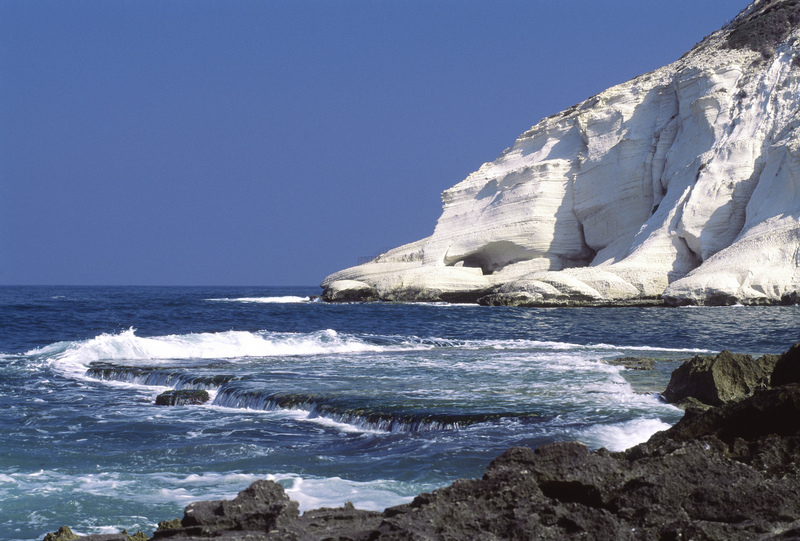 A stone’s throw from Israel’s northwestern border, Rosh HaNikra might make your heart skip a beat. Home to the world’s steepest cable car, passengers descend over 200 feet down to sea caves. Swimming in these blue grottoes definitively proves there’s more to the Mediterranean than Capri. 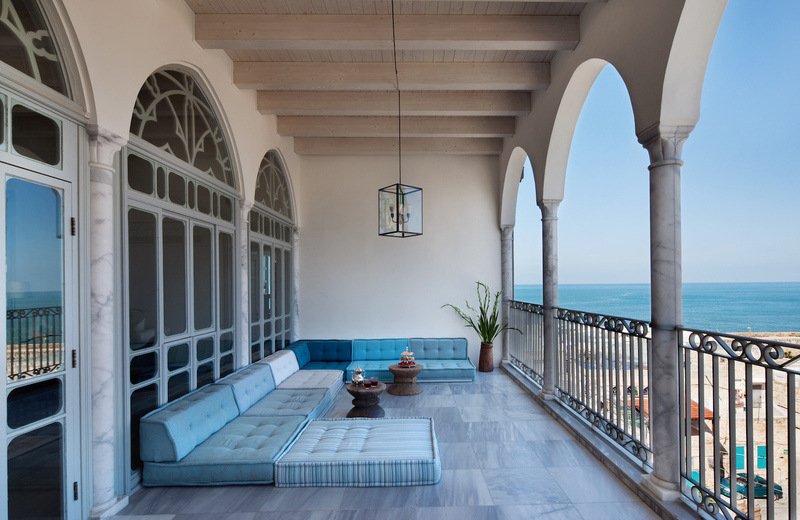 Rise back up the chalk cliffs and, as you’re already in Acre, a 4,000-year-old port city, spend the night at Efendi Hotel. The 12-room property, a fusion of two Ottoman Era homes, overlooks the coast while guests sleep under ancient frescoes, simmer in the original Turkish Hammam, and trade the grottoes for a different type of cave altogether: a Byzantine-era wine cellar. 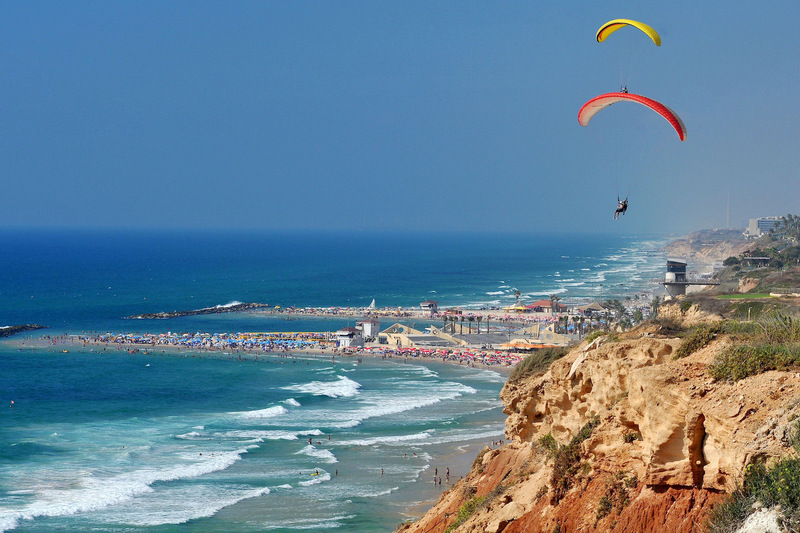 A short drive from Tel Aviv, wind sweeps Beit Yanai, a popular beach along the central coast. Thanks to the consistant breeze, the beach is a hub for kitesurfing, an activity done on a specialized wakeboard outfitted with a paraglide-style kite. You’ll spot experts bobbing up and over the waves in mid-air, and luckily for beginners, kitesurfing classes are available. 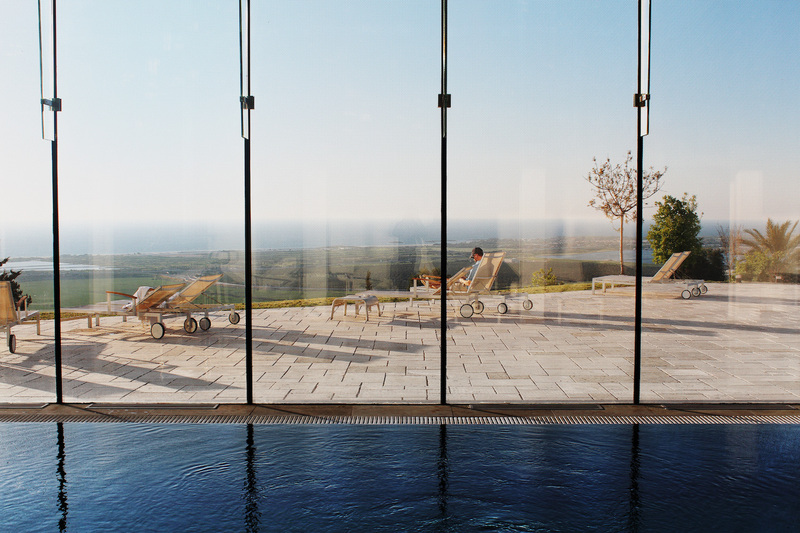 Further north along the coast, Elma Arts Complex Luxury Hotel offers a change of pace. Located in Zichron Ya’akov and perched on the fringe of the Carmel Mountain Range, the brutalist beauty—originally built as a retreat for the workers of an Israeli pension company—was transformed into a concrete, cultural hotspot complete with 95 guest rooms and about 750 square metres of art galleries. 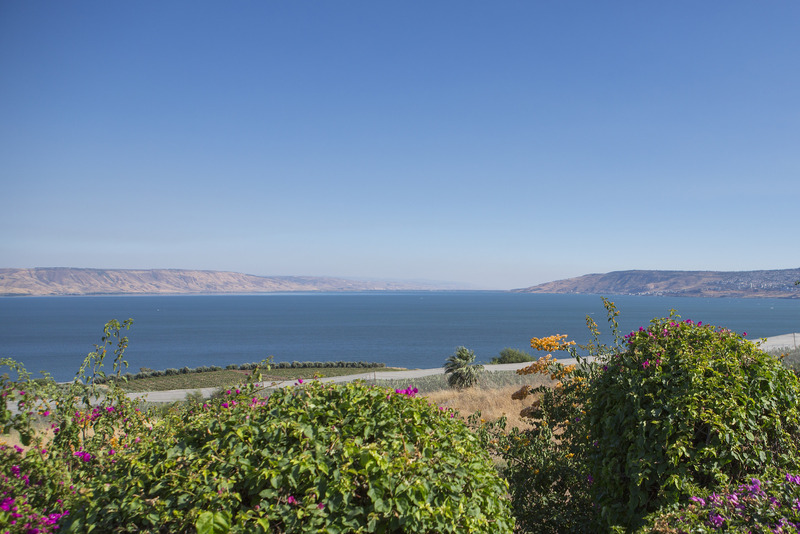 As the story goes, Jesus walked on water—specifically, the Sea of Galilee. While walking on water isn’t for everyone, hiking (or even cycling) around the water is open to anyone thanks to the development of the 60 kilometre Kinneret Trail. 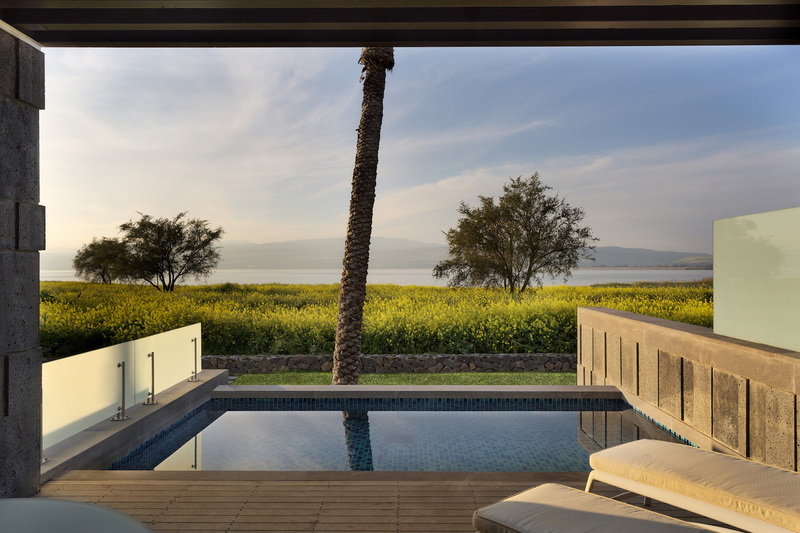 More adrenaline rushes are available throughout the region, but for a dose of respite, The Setai Sea of Galilee opened right on the water just last year. Surrounded by palm and fruit trees, and just steps from the beach, the resort even has complimentary bikes (useful if you manage to pull yourself away from the spa). 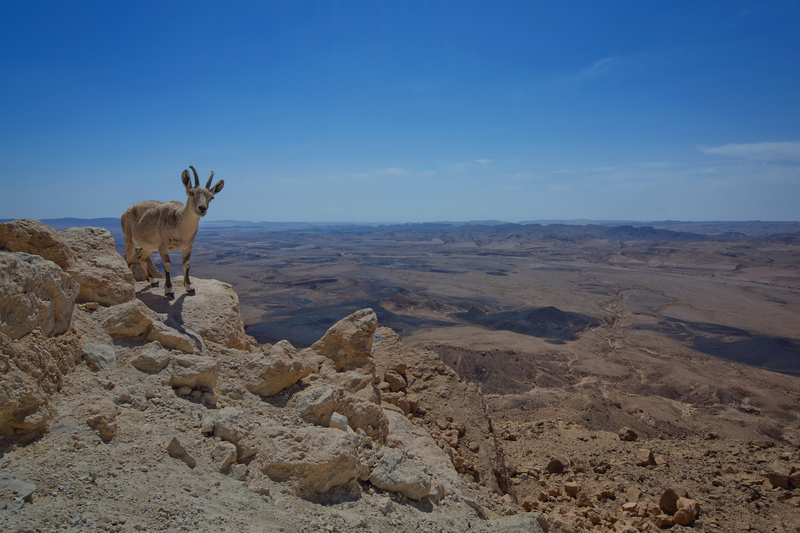 Thrill-seekers flock to the Negev Desert—specifically to Ramon Crater, the largest erosion crater on earth. The terrain is popular for hiking and mountain biking (especially on ancient caravan routes) but rappelling down into the crater is also well worth it. 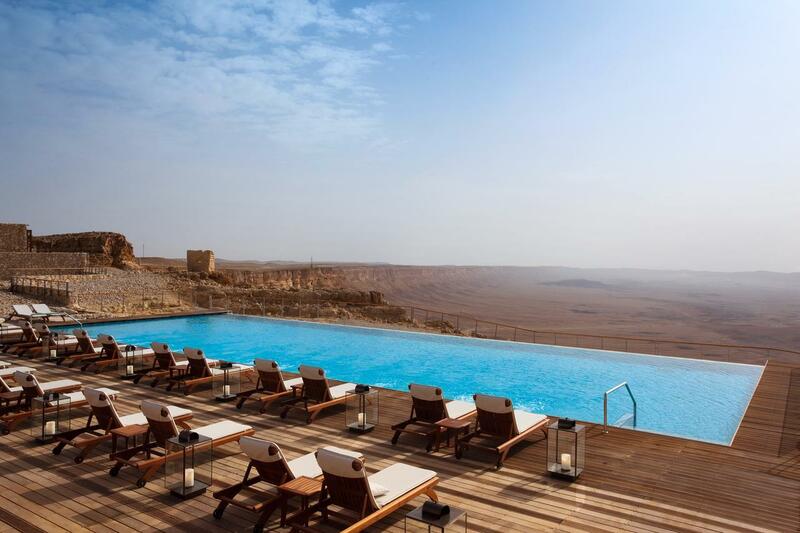 The reward is Beresheet, arguably Israel’s most dramatic retreat, which teeters right on the edge of the crater—guests can rappel into the crater by day, and dip into cliff-side private plunge pools by night. The Dead Sea has always been one of Israel’s most popular attractions. But not everyone loves to just float around. For a different take on the beach, the Red Sea is just as relaxed, but with a little more to do. 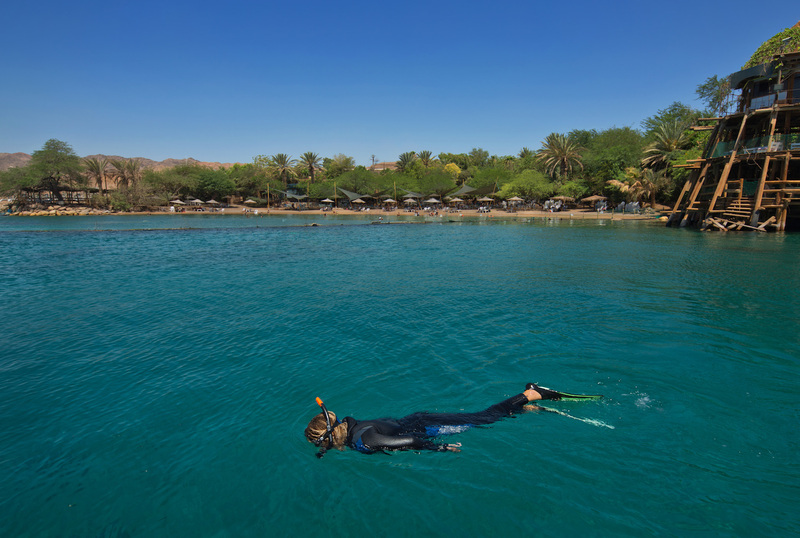 Popular for diving and snorkeling, Eilat commands the country’s southernmost coast along the Red Sea, and it also pockets the country’s only coral reef. 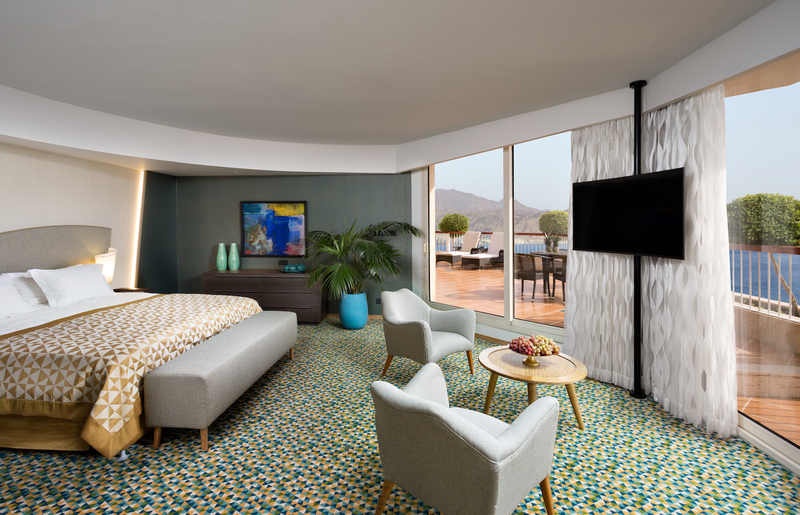 Float along designated trails throughout Eilat’s Coral Beach Nature Reserve in the sun, and then retreat to any number of resorts clustering along the coast—for an easy bet, Dan Eilat Hotel is as beachfront and sun-drenched as they come.